LITTLE ROCK – Angel Eye Camera Systems LLC, a new company, recently licensed Angel Eye™ technology from University of Arkansas for Medical Sciences (UAMS) BioVentures, and received an important capital investment from a Nashville, Tenn., venture fund. 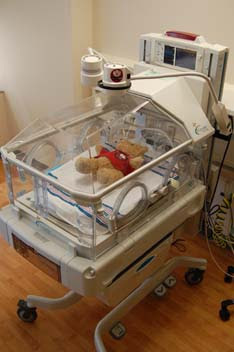 The Angel Eye system uses a camera placed at the baby’s bedside in the neonatal intensive care unit (NICU) so that parents and other family members who can’t be at the hospital can view the baby 24 hours a day. This system helps promote bonding between parents and their premature babies, who sometimes have to stay in the hospital for weeks or months. Angel Eye Camera Systems LLC was organized in January 2013 to exclusively license this proprietary technology from UAMS. Nashville-based TriStar Technology Ventures recently has shown its confidence in Angel Eye technology and its appeal to hospitals and families by becoming one of the leading investors in Angel Eye Camera Systems. A Little Rock native, Rand grew up in Searcy and now lives in Nashville. Typically, the process behind making a capital investment such as TriStar’s can take as long as six months but came together with Angel Eye Camera Systems in one month because of the professionalism and experience of the BioVentures team supporting it, Rand said. TriStar is an early-stage venture fund that forms and invests in companies across the spectrum of health care innovation, life sciences, diagnostics, medical devices and technologies, health care IT and health care services. In 2012, the Arkansas Development Finance Authority through its Arkansas Seed & Angel Capital Network program provided $500,000 to the firm’s TriStar Fund II. TriStar’s investment in Angel Eye Camera Systems is its first investment in a company in Arkansas. The ADFA program’s goal is to create a network of investors in Arkansas helping local entrepreneurs. “Angel Eye is very fortunate to have partnered with TriStar Technology Ventures, which not only provides our company with important access to capital, but also offers an extensive network of health care contacts and significant operating knowledge of medical technologies,” Bethel said. UAMS established BioVentures and its Technology Licensing Office to facilitate the commercialization of UAMS technology and assist in the startup of new business enterprises based on UAMS technology that translates its research endeavors such as Angel Eye™ technology into products that benefit human health. UAMS is the state’s only comprehensive academic health center, with colleges of Medicine, Nursing, Pharmacy, Health Professions and Public Health; a graduate school; a hospital; a statewide network of regional centers; and seven institutes: the Winthrop P. Rockefeller Cancer Institute, the Jackson T. Stephens Spine & Neurosciences Institute, the Myeloma Institute for Research and Therapy, the Harvey & Bernice Jones Eye Institute, the Psychiatric Research Institute, the Donald W. Reynolds Institute on Aging and the Translational Research Institute. Named best Little Rock metropolitan area hospital by U.S. News & World Report, it is the only adult Level 1 trauma center in the state. UAMS has more than 2,800 students and 790 medical residents. It is the state’s largest public employer with more than 10,000 employees, including about 1,000 physicians and other professionals who provide care to patients at UAMS, Arkansas Children’s Hospital, the VA Medical Center and UAMS regional centers throughout the state. Visit www.uams.edu or www.uamshealth.com. 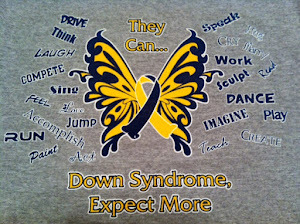 Two years ago, Tricia and I were both blessed with wonderful little girls who happen to have Down Syndrome. We were not aware of the diagnosis before they were born. The doctors and nurses said "I'm sorry" several times and told my husband and I what my daughter would "never do" like read, drive, have a decent IQ. They then informed us of all the potential medical complications that could occur. It was overwhelmingly negative and we allowed them to steal our joy surrounding her birth. Those words fueled us to prove them wrong. As we educated ourselves more about Down syndrome, we realized children and adults with DS can do all of this, and anything else they want to do. They can dance, sing, play musical instruments, give speeches, become a composer, become an actor, drive a car, inspire others, help others, and so much more. We made it our goal to "raise awareness and expectations" and to help other parents experience this realization from the beginning. We wrote a small book for new parents to explain things like TEFRA, therapies, alternative choices, with encouraging stories, oral motor techniques to begin right away, and a list of numerous websites and blogs that would inspire and motivate them. We give this book, along with a gift basket full of goodies and a prayer blanket to each new or expecting parent we encounter. We personally talk to each new or expecting parent as soon as we receive a call from the genetic clinic, hospital, therapist, or friend. We introduce them to families who have child with DS of similar same age. We add them to the Arkansas Facebook page called "Buddy Talk" which was organized for DS families. Buddy Talk is like having your own personal support group. Buddy Talk organizes family events every 2-3 months here in central Arkansas like the water park, zoo, museums, and picnics in the park. 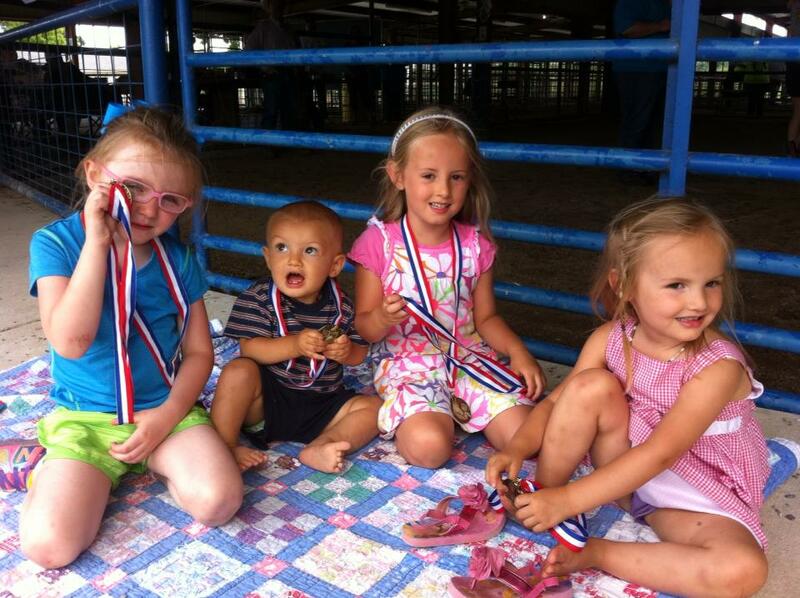 We link the new families with the Arkansas Down Syndrome Association, so they can receive letters for upcoming events. Sometimes, we just let them see our 2 year old daughters playing, enjoying life, and getting into mischief like any typical two year old. This seems to alleviate more fears and doubts for new or expecting parents than anything we can say to them. We are now blessed to be able to take a dinner to the hospital when the children with heart defects are having their surgery at 2-4 months old. This allows the parents a mental break without leaving the hospital, while one of us sits with their precious baby singing or reading to them. 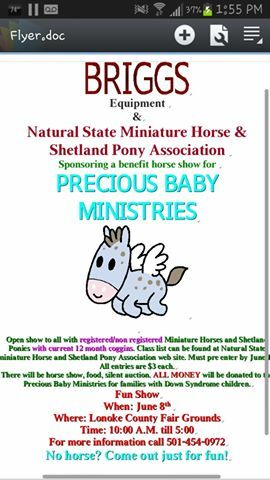 Our Precious Baby Ministry has grown and extended to NE Arkansas with Shannon sending out 4 baskets last week and meeting with families. The Arkansas Down Syndrome Association now has a link so families can download the book themselves in case we did not receive a call about them. (see link Precious Baby Binder under infant and early childhood at http://www.ardownsyndrome.org/ ) Two years into our journey with Presley and Emma, we are amazed by everything they CAN do and WILL do. They have such a positive influence on people and can change your heart, you outlook, and your life if you let them. .
Today, we attended a miniature horse show fundraiser for Precious Baby Ministry hosted by Brigg's Equipment and put together by Natural State Miniature Horse and Shetland Pony Association. Todd and Jennifer Crowder where so generous with giving all proceeds to our cause. It is heart warming how many strangers show support for our children and want to help any way they can. A simple thank you does not seem enough. We met some amazing people today. Just remember, you can make a different with one small step at a time. Keep moving forward. Payton & Presley. Presley thought the water in the horse's bucket needed some stirring. Two princesses walking in the show. How great is it to teach children compassion so early? The flyer. All proceeds went to support our cause. People making a difference. A two year old girl in the show. Olivia, Bekkah and Kenzie loving the horse show. Emma, her Nana and her brother Grant. The costume part of the show. They were going swimming. Picture doesn't do it justice, but this horse was dressed up like a dinosaur. The children had such a good time! $1,650 total was donated. $550 was from the children's bake sale. We are so blessed! Remember to enjoy your journey and your Precious Baby. Todd and Jennifer Crowder with Natural State Miniature Horse and Shetland Pony Association taking photo with Tricia and little Emma who passed out from all the fun. A special thanks to Frank Glasgow with Briggs Equipment for all of their continued support. They have been responsible for raising money and awareness. We could not do it without people like this.